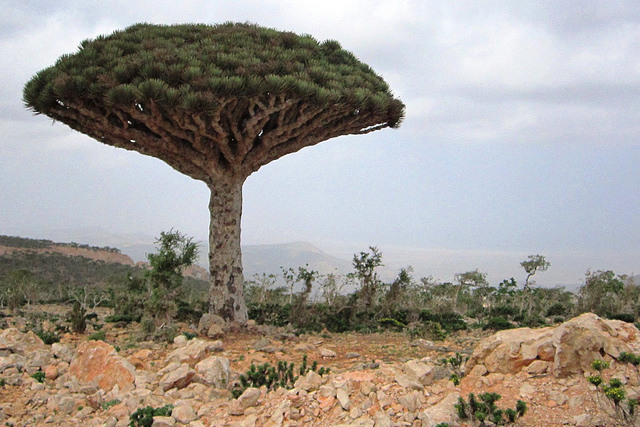 Where the strange plants and animals exist, a place 220 miles away from Yemen is called Socotra. 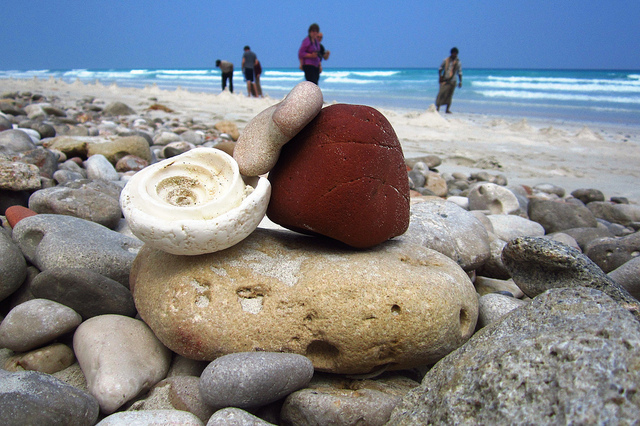 Socotra is a collection of four islands in the Indian Ocean, near the Gulf of Aden. Millions of years ago, when Earth had just one landmass, even then this island stood apart on its own. 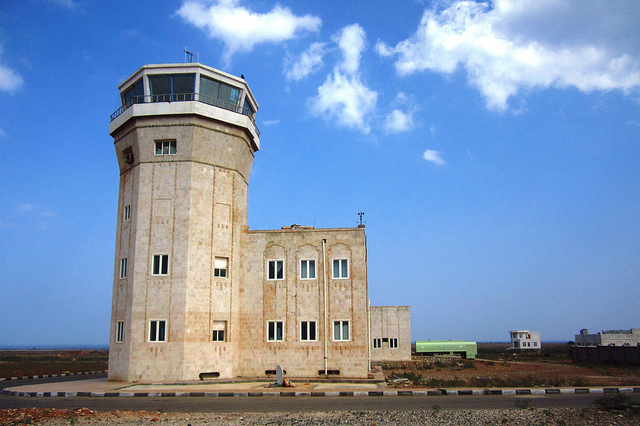 Because of being isolated for so long this island is truly unusual and unique. The islands have rare species of plants, reptiles and land snails that are found no where else in the world. Ever since the ancient time these islands have interested the Egyptians, Greeks, and Romans who thrived on the natural treasures of Socotra. Aromatic resins such as frankincense, medicinal aloe extract, and the dark red sap of the dragon’s blood tree were used for healing and as colors for painting. 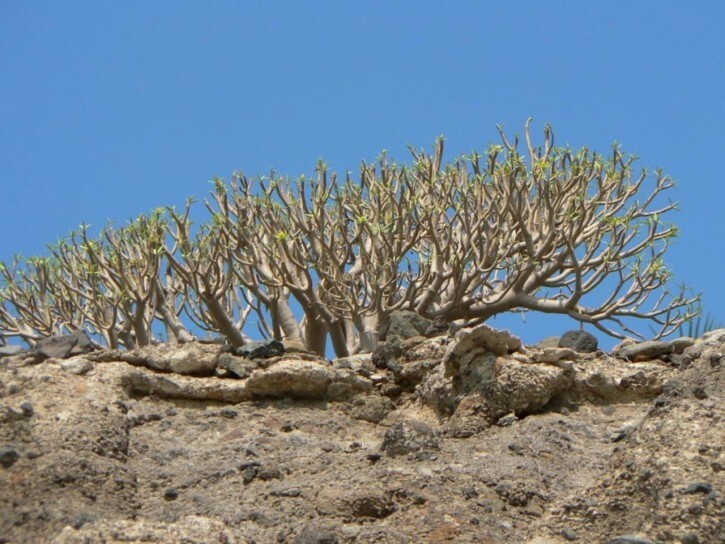 These days Socotra holds the interest of researchers and tourists for its diverse flora and fauna. It is highly amusing to see how the plants have evolved to survive the harsh dry conditions. A famous example is the desert rose. 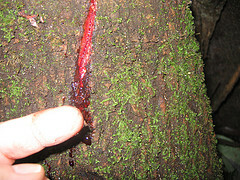 It has a high thick trunk with a leafy top. The trunk stores water, and takes fascinating shapes to fix itself to the rocks. The flowers are pink in color and are commonly referred to as desert rose. There may be many undiscovered species of insects on Socotra. Because of the regular monsoon winds in the area, many Socotran insects have evolved little wings, which prevents them from being blown out to sea. There are enormous centipedes that can reach a length of more than 20 centimeters and can give a serious pinch. Ouch! Also, present are freshwater crabs, and large spiders that spin golden webs across wood land gaps. Harmless to humans, but scary nonetheless!! Herpetologists believe that there are still some undiscovered species of reptiles on the island. In diversity, this island is remarkably similar to Galapagos island, but it is more densely populated than Galapagos. More than 50,000 people live on the main island of the archipelago. Fishing, animal husbandry, and the cultivation of dates are the chief occupations of the indigenous population. 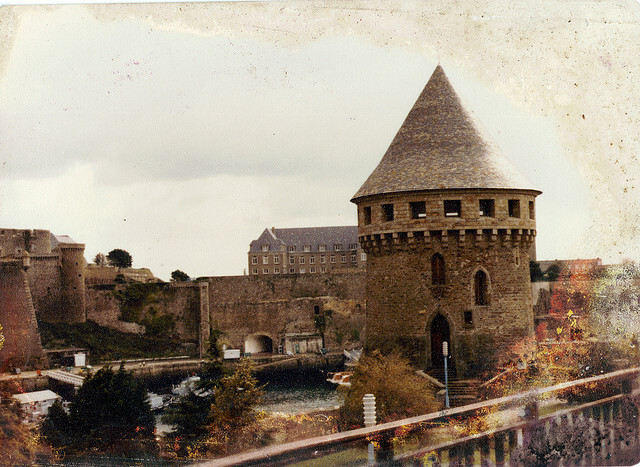 Sadly, the development and the modernization of these islands is slowly destroying the cultural and natural habitat of the place. Hopefully the traditional aboriginal people of will somehow keep it as it is.